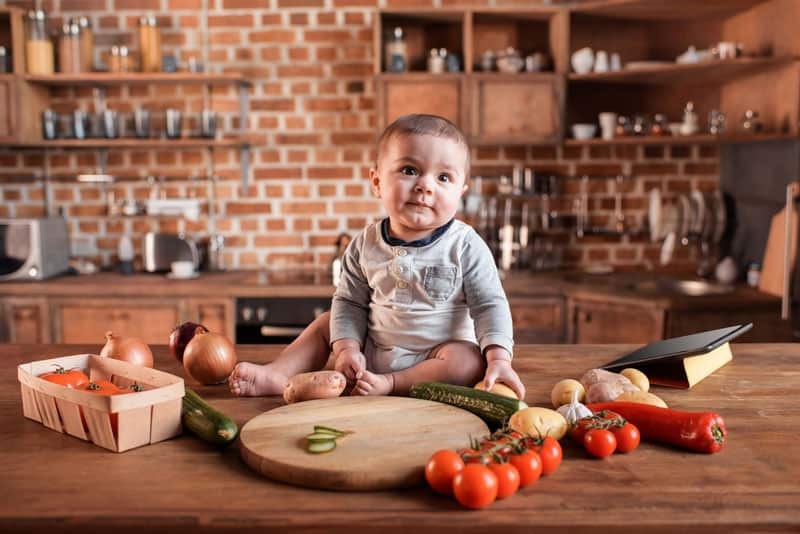 >> Cooking With Toddlers: What You Can Cook and What You Can’t? Let's face it; cooking with a toddler can be fun or frustrating. 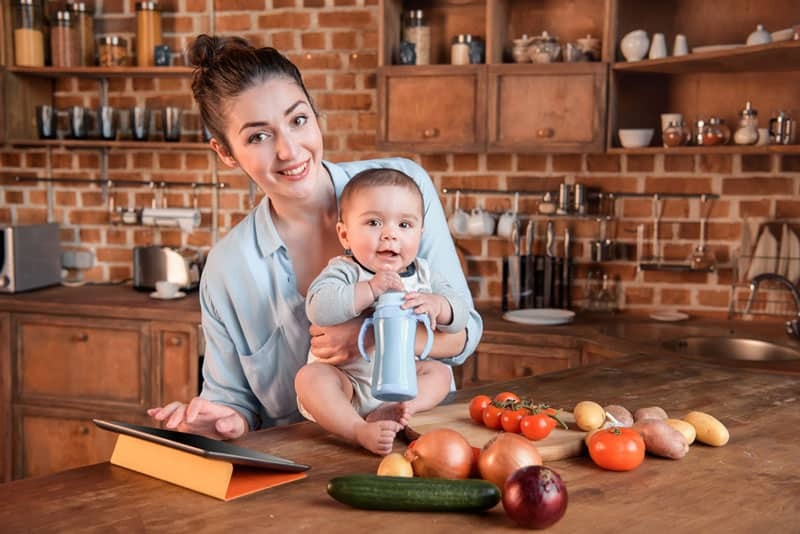 While cooking with such small children, you need to have some toddler-friendly recipes. These recipes should be super forgiving and written by experienced moms. If you want your kids to learn how to cook, it is best to start early when they're toddlers. Cooking with a young child can be challenging but also fun and rewarding as well. You can help your child develop a love for cooking which is great. Hygiene comes first when cooking; therefore, wash your child's hands first because he is definitely going to touch everything in sight. Protect the child's clothes with an apron because messes are going to be made. You can make the kid's size apron at home or buy one at the store. Pull up a chair or a stable stool. This will help the toddler see what you're doing and follow the process. Start by showing your child what is being done before you let her go at it. Explain clearly so that your toddler understands what you're doing. 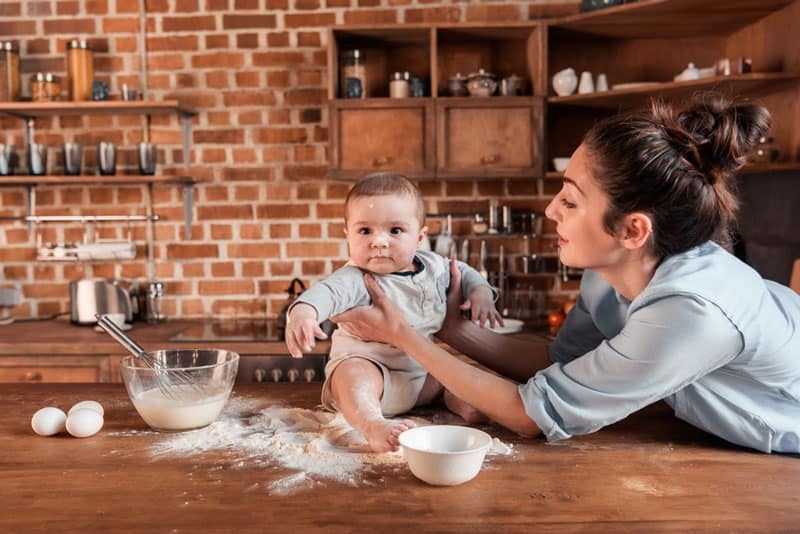 Let the little one do the simple things like pushing the button to start the mixer, stirring batter or emptying out a measuring cup into a bowl. Toddlers love to do these simple activities. Keep the toddler away from hot things. This is pretty obvious and you need to ensure that when you're opening the hot oven or cooking on the stove, your child is not near enough to get burned. Space rock cakes are perfect for toddlers as they are forgiving, there's no need to follow strict instructions. All you need is some butter, plain flour, baking powder, brown sugar, raisins, an egg, milk and edible glitter to use as the space dust. Jam tarts are sweet treats that toddlers will enjoy making. Ingredients include some all-purpose flour, lard, margarine, salt, cold water, and jam. You will need a mixing bowl, a sieve, a tablespoon, a table knife, rolling pin, pastry cutter, teaspoon and a bun tin. Cupcakes are superb for kids as they will love the decoration part. To make some simple cupcakes you need two eggs, margarine, sugar, self-raising flour, and vanilla extract. Cookies such as rainbow crush cookies and strawberry jam thumbprint cookies are interesting cooking ideas with toddlers. To make the rainbow crush cookies all you need is some margarine, granulated sugar, light brown sugar, a big egg, vanilla extract, self-raising flour, sugar-coated candy, milk chocolate chips, and raisins. Ice pops are nice during the hot summer weather. All you need is some juice, Cool-aid or concentrated juice and some water. All the above sweet treats are easy to make with toddlers. There will be messes made but all in all, it is a fun learning experience. Homemade Bruschetta's are a great way to get the children to create their own meals. Provide the selections and guide them on how to make a fast and easy dish that they will enjoy making themselves. Squashed tomato pasta sauce may be a bit messy but it tastes great and your toddlers are bound to enjoy the sensory cooking task. Lettuce wraps are nice as they don't need any cooking. Patacones are also great but caution should be taken here. The kids can mash the green bananas, but an adult should probably do most of the frying as the oil is hot. Crockpot stone soup is also perfect for toddlers because once all the ingredients are put in, your kids can move away from the source of heat. Making sweet or savory bread is quite fun to make with toddlers. Make sure that it's a very simple recipe so that the bread will rise and taste delicious. Hedgehog rolls are a great form of themed bread. Pizza is pretty easy and fun to cook with toddlers. It's the love season; you can make some valentines chocolate cupcakes. You can give them a heart shape and kids will love these treats as they share with the ones they love. Some traditional Easter cookies and a chocolate nest are perfect for making with toddlers. Utilize Easter shaped cookie cutters to make the decoration process more interesting. Witches Cauldron cakes are superb for this creepy season. Have fun as you make them with your little ones. Cheese puffs which are definitely very easy to make. Number cookies which will help your young one learn more about counting. Small children are very sensitive, therefore, there are some things you should not make in the kitchen with your toddler. Onions make the eyes teary, so it's not wise to cut onions with your small child. Spices are also not good to make with toddlers as they can get into the child's eyes accidentally. Your child can help you prepare the ingredients and do the easy parts, but when it comes to dealing with a source of heat your child should stay away. Don't let him near hot oil, boiling water, oven, etc. All in all, while cooking with toddlers, caution should be practiced to avoid accidents. Keep a keen eye on your little one during the whole process.